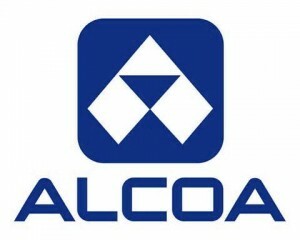 Alcoa posted its earnings report for the fourth quarter following the closing bell on Monday, which marked the traditional start of the yearend reporting season. It was a good start as well. The largest aluminum producer in the country posted top and bottom line figures that were better than had been expected sending its stock to a gain in after hours trading and closing out its year with its best results since 2008. Alcoa on Monday reported revenue of $6.4 billion for the fourth quarter, an increase of 14% over the same period one year ago, which beat analysts’ projections of $6.01 billion. Including charges that are one time of $273 million related to its businesses of upstream and midstream, net income for the aluminum giant was $159 million equal to 11 cents a share. Excluding those same one-time charges Alcoa’s net income was $432 million equal to 33 cents a share, which was up from last year during the same period of $40 million and 4 cents a share. It was also far better than the 27 cents a share projected by Wall Street analysts. The end of the quarter brings the full year Alcoa result into better view, which is much improved. Revenue for the full year in 2014 increased by 4% to over $23.89 billion, including certain items, net income for the year was $268 million equal to 21 cents a share, which improved over a loss of $2.3 billion equal to -$2.14 a share during 2013. Excluding the special charges, Alcoa has net income of $1.1 billion equal to 92 cents a share, which was close to triple the $357 million equal to 33 cents a share that was reported in 2013 as net income. The results by the company, especially those within its alumina segment, were aided by higher pricing in aluminum and the foreign exchange rates that had worked in the company’s favor. Its alumina segment had $178 million in operating income after tax, which was an increase over 2013 of $108 million. In 2015, Alcoa expects demand in global aluminum to expand by 7%.